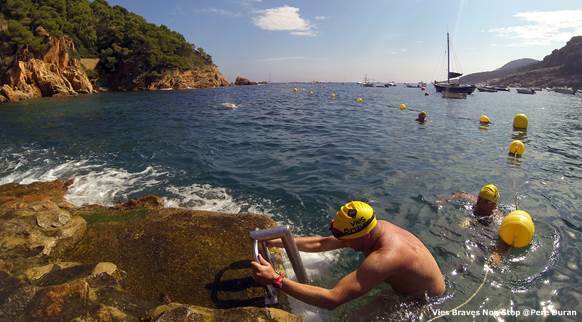 The routes are marked with signs and buoys, providing a safe way of enjoying open water. They turn the coastal landscape into a tourist destination where people can do open water swimming and snorkelling. Vies Braves allow you to combine activities such as swimming and snorkelling with trekking or running, as most of the routes run parallel to existing “camino de ronda” footpaths all along the shore, allowing people to discover the landscape from different perspectives. 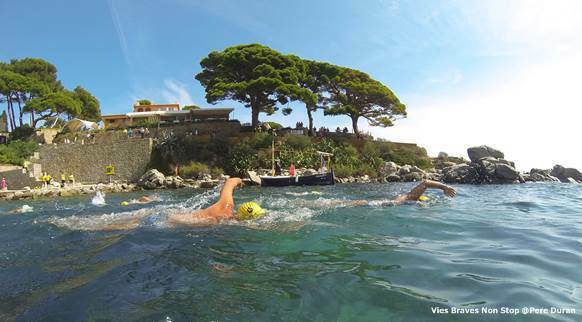 In all towns with Vies Braves, we organise free promotional swimming and snorkelling sessions for everyone. Our aim is to promote meetups to swim in a group, get people started with open water swimming and try snorkelling. All sessions are run by qualified, trained instructors. This initiative, unique in the world, is a sustainable, quality product designed to foster the landscape as a tourist destination. This type of sustainable tourism boosts the area’s economy and mobility, as well as making it less dependent on seasonal factors.